Amazon’s New Kindle Fire HD Family: Take That Apple iPad! Not many companies can make Apple sweat, but Amazon has just turned up the heat with the new Kindle Fire HD tablet/ereader family: The 7-inch Kindle Fire HD ($199 with 16GB of storage; $249 with 32GB), the 8.9-inch Kindle Fire HD 8.9 ($299 with 16GB; $369 with 32GB) and the Kindle Fire HD 8.9 4G LTE Wireless ($499 with 16GB; $599 with 32GB). The classic 7-inch Kindle Fire, which recently sold out on Amazon.com, is back in the Kindle lineup with a faster processor, more memory and a really cool new feature: A lower $159 price tag. New 7-inch Kindle Fire HD in portrait and landscape orientation. The 7-inch Kindle Fire HD, which has a better display, more storage space and Dolby stereo audio but the same $199 starting price as the old Kindle Fire, is available for preorder now and will be in stores Sept. 14. 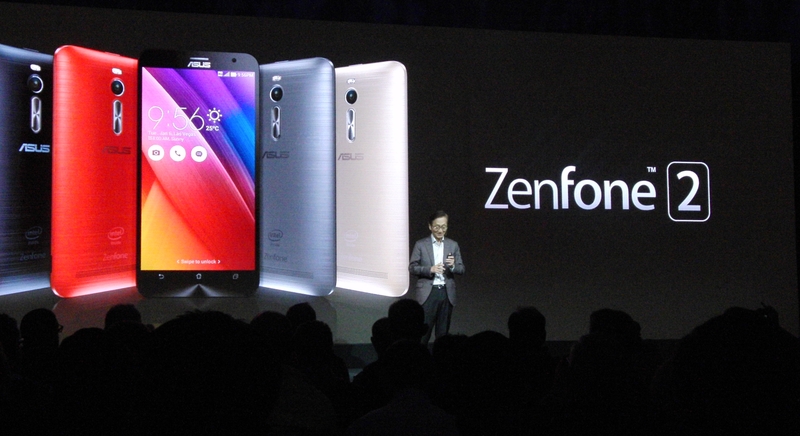 The other models will be available Nov. 20. As a family, the new color Kindle HD units are poised to make a huge impact in three key tech sales areas: the affordable entry-level tablet market, the muscle Wi-Fi tablet segment and in the do-it-all-always-connected-big-tablet competition. Apple may have something interesting in the works as it rolls out a new iPad or two this fall, but for now Amazon has delivered a stunning first punch to the 2012 holiday-season tablet market. Aside from HD displays, the new Kindle HD units have two Wi-Fi MIMO (Multiple In/Multiple Out) antennas, which means that both antennas can receive data simultaneously on 2.4 GHz or 5 GHz Wi-Fi networks, thus resulting in better wireless Internet reception, according to Amazon. Also included in the new units are front-facing cameras, a custom version of Skype videoconferencing software, free unlimited cloud storage for Kindle media, Bluetooth wireless adapters for wireless headsets, speakers and other accessories and an HDMI out port. With a starting price of $299, the Kindle Fire HD 8.9 is far more affordable than the least expensive Apple iPad, but offers an admirable array of features, including its 1,920-by-1,200-pixel, 254-pixel-per-inch IPS display and a 1.5 GHz, dual-core processor. 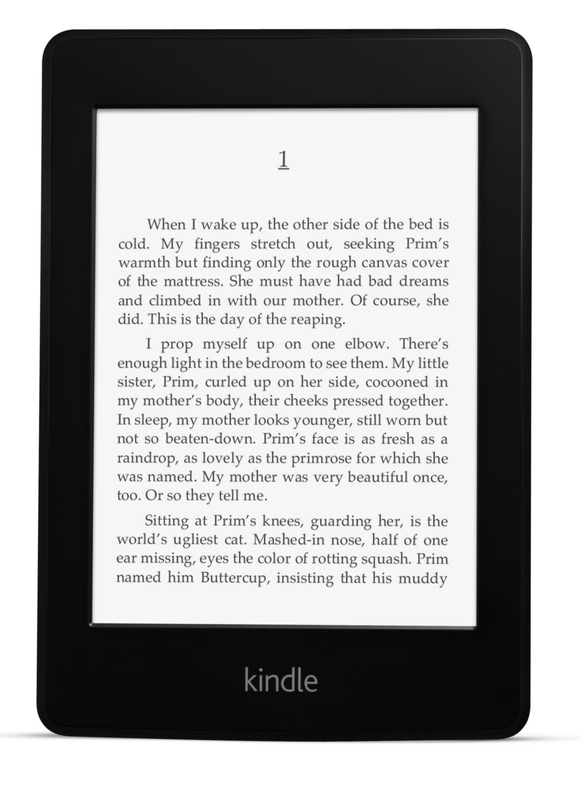 It has the same look as the smaller Kindle HD, which has a 1.2GHz processor, in terms of its dark case and thick border around the display area. The Kindle Fire HD 4G LTE Wireless offers the same features of the Kindle Fire HD 8.9 plus high speed always-on LTE data service at a very competitive price: $50 a year for 250MB a month data, 20GB of additional cloud storage and a $10 Amazon app store credit. Even Amazon CEO Jeff Bezos said at the company’s Kindle press conference that Amazon was willing to lose money on hardware since it could make up the loss selling content in the Kindle Store. The new Kindle units can take advantage of new Amazon content services, including Kindle FreeTime, which lets parents set time limits on content for their children. FreeTime will be available in October. Also introduced Thursday were other Kindle devices, including two monochrome devices using new Kindle display technology: the $119 Kindle Paperwhite and the $179 Kindle Paperwhite 3G. Of course the best feature about all Kindle devices is easy access to Amazon’s huge arsenal of ebooks, audiobooks, MP3 music downloads, Android apps and other downloadable media. Amazon tries to make things easy on technophobes by providing a simple interface. At Thursday’s unveiling in Santa Monica, California, Amazon CEO and founder Jeff Bezos readily admitted that Amazon was willing to lose money on hardware since it could make up the loss with content sales from its Kindle store. In boxing, the best punch is often the one you get off just ahead of your opponent: Even if it doesn’t floor him, you have his attention. Apple, are you listening? Images and video courtesy of Amazon. If you’ve ever dreamed of owning your own TV network, Looxcie has an app for you. As of this morning, you can download the revised version of LooxcieLive, a free smartphone/tablet app which lets you stream live video from your device’s front or back camera straight to your friends who are using the same app. No app? No problem. In a few days a new Looxcie App for Facebook will allow anyone who can access Facebook to view your live videos or those broadcast on Looxcie’s public user channels. LooxcieLive, available for Android 2.1-plus and Apple iOS 5.0-plus devices, is compatible with front or rear cameras on smartphones or tablets. Not only does the app let you speak to your viewers, but viewers with LooxcieLive on their own smartphones can talk back. They can use a push-to-talk button or can send text messages to the videographer. The introduction of LooxcieLive means that you no longer need one of Looxcie’s lightweight, wearable video cameras to broadcast live videos via a smartphone app. “If you don’t have a Looxcie [camera], you can still have a Looxcie experience,” said Jay Moore, vice president of marketing at Looxcie during a phone conference. However, the Looxcie LX1 and Looxcie LX2 cameras have superior optics and offer better resolutions than most tablets and smartphones. The Looxcie cameras, which link with smartphones and tablets via Bluetooth, can be hung from an ear like a Bluetooth headset, clipped to a baseball cap, put on a tripod or otherwise used completely hands free. Videos streamed with the LooxcieLive app can be made private, where only invited friends can view them, or left public where anyone with the app or using the Looxcie for Facebook App can see them. 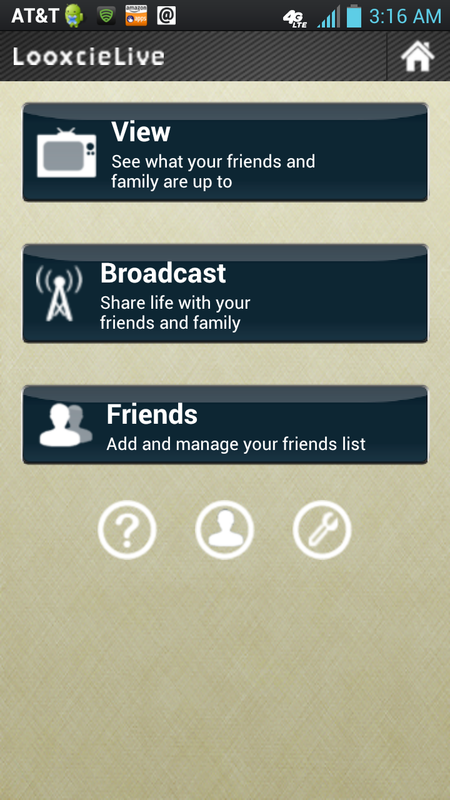 The app allows users to send live broadcast notifications to Looxcie and Facebook friends. 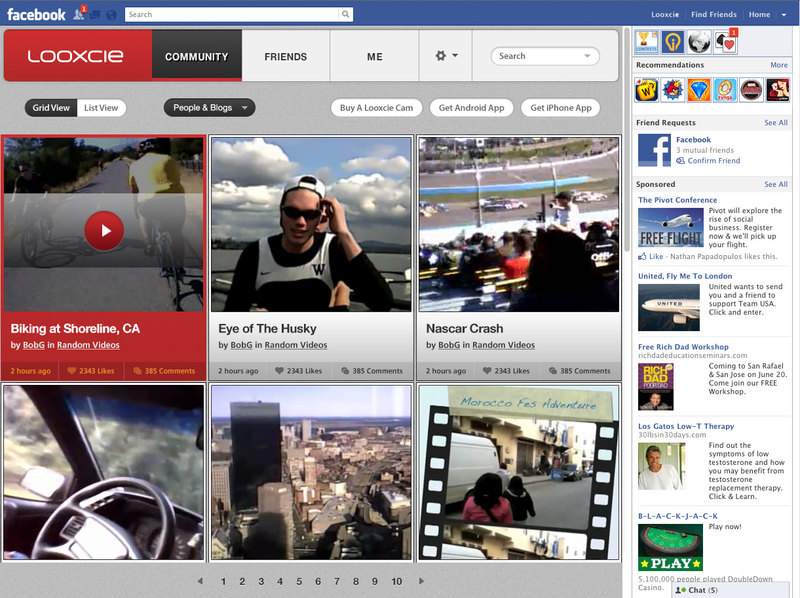 The live streaming works over 3G, 4G or Wi-Fi connections, according to Looxcie, and videos are archived to the cloud, where they can be viewed later. The app supports a top streaming video resolution of 480p at up to 15 frames per second, so the result is not exactly HD-quality. Moore noted that the app can be useful for citizen journalists or anyone who wants to make a simple broadcast that he can share. “We definitely pride ourselves with trying to provide an easy experience for our customers,” said Moore. Travis Merrill, director of marketing for Samsung Electronics America’s Galaxy tablet division helps introduce the Samsung Galaxy Note 10.1 Android 4.0 tablet at an Aug. 15 launch event in New York. The new Samsung Galaxy Note 10.1 Android tablet isn’t an iPad, and that’s the point. Samsung has designed the Galaxy Note 10.1 to be not just a device for Web surfing, email reading and other forms of what it calls “consumption,” but as a creative device which, according to Samsung, will change the way users learn, draw, share and otherwise interact with their mobile electronic companions. At $499 for a unit with 16GB of storage and $549 for a 32GB version, Samsung has the difficult task of convincing the public why they should spend 500-or-so dollars on a Galaxy Note 10.1 instead of an Apple iPad. The answer, according to Samsung representatives at a splashy Aug. 15 launch event in New York, is the S Pen. The S Pen, which stores neatly in a slot in the back of the Galaxy Note 10.1, can detect more than a thousand levels of pen pressure when combined with the specially designed screen on the tablet. This means that you can draw on the screen as if you had a real pen or brush: A light pressure for a thin pen line or feathery brush stroke or more pressure for a thick line or a heavy coat of virtual paint. Tim Baxter, president of Samsung Electronics America, unveils the Samsung Galaxy Note 10.1 tablet at New York press conference. “Make no mistake…this is not a [run-of-the-mill] stylus,” said Travis Merrill, director of marketing for Samsung Electronics America’s Galaxy tablet division. He noted that unlike other tablets which can only detect whether a stylus has made contact with its screen or not, the Samsung Galaxy Note 10.1 can, via electromagnetic resonance, detect the S Pen as it approaches the screen. 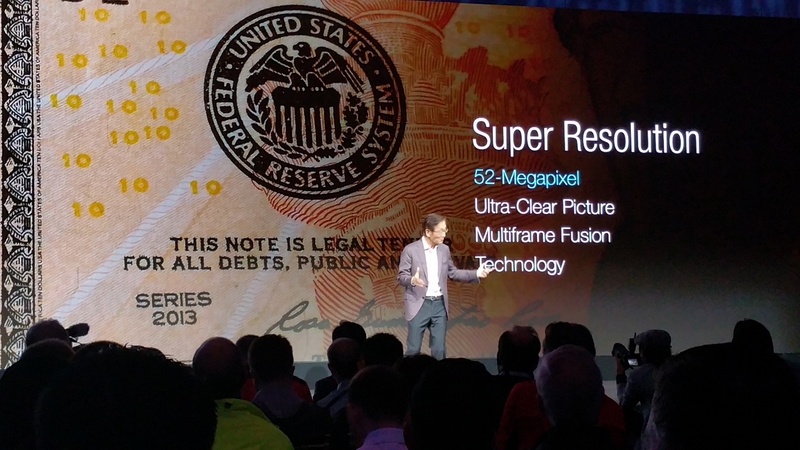 All necessary power is generated by the tablet–no battery power is needed for the S Pen, he noted. The combination of the pressure-sensitive screen and high-resolution digitizer built into the Galaxy Note 10.1 means that tasks like painting, document annotation and handwriting recognition are enhanced, he said. “For the first time, freehand writing on a tablet makes sense,” said Merrill. Award-winning film director Baz Luhrmann explains what he likes about the Samsung Galaxy Note 10.1 at Aug. 15 product launch event in New York. During the press conference, award-winning film director Baz Luhrmann said that after a few days with the Galaxy Note 10.1, he found it easy to share and edit storyboards and other information vital to his upcoming movies. “This is a creative tool… That’s the game changer for me,” said Luhrmann. The Galaxy Note’s 10.1-inch, 1,280-by-800-pixel display is driven by a quad-core, 1.4GHz processor, the most powerful to date in Samsung’s Android tablet lineup. The unit comes with Android 4.0 (Ice Cream Sandwich), the latest version of Google’s operating system software for mobile devices. An upgrade to the next Android version (Jelly Bean) will be available later this year, according to Samsung. The tablet is preloaded with Adobe Photoshop Touch, the Barnes & Noble Nook ebook app, the Kno textbook and learning app and a handful of other productivity and entertainment titles. The tablet had a Multiscreen feature which allows users to run two from a select list of apps at the same time on the same screen. For example, you can have an email app and a Web browser window open at the same time. Unlike the iPad, the Samsung Galaxy Note 10.1 has a microSD card slot for additional storage on removable memory cards and an infrared port, a feature once prevalent on cell phones and PDAs. The infrared port allows the Galaxy Note 10.1 to be used as an intelligent remote control for your current TV and audio equipment. The Samsung Galaxy Note 10.1 Android tablet comes in Pearl Gray and Pearl White. Preinstalled on the tablet is the Peel Smart Remote & TV Listing app, which aids in the process of configuring the Galaxy Note 10.1 tablet to work with your electronic gear and provide access to various TV programming guides. The Samsung Galaxy Note 10.1 Android tablet can run two apps at the same time on the same screen. So, will the Galaxy Note 10.1 make a dent in the iPad’s slice of the tablet market? Let the battle begin…and let me know what you think. Image of Galaxy Note 10.1 with S Pen courtesy of Samsung. Denon AH-NCW500 Bluetooth Noise-Canceling Headset. Denon is hardly a stranger to the audio market, but you’re more likely to see its logo on audiophile-class bookshelf receivers than on the heads of commuter train or airline travelers. Denon’s new line of premium headsets aims to change that. At a recent press preview in New York, Denon showcased stylish headsets with high-end electronics that it hopes offer the right combination of audio quality and good looks to make them holiday-season favorites. For example, Denon’s Globe Cruiser line of over-the-ear and in-ear headsets are aimed at travelers who want a luxury-class listening experience but need to remain productive and answer a phone call now and then. At $500 the Globe Cruiser AH-NCW500 over-the-ear, noise-canceling Bluetooth 3.0 wireless headset is clearly meant for travelers willing to pay extra for an audiophile-class experience while in the air or on a couch. 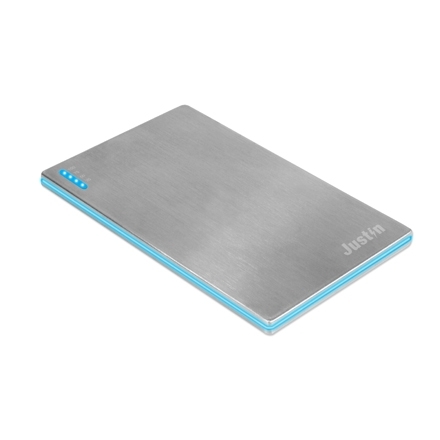 The unit, which comes in black and silver, runs for ten hours on a charge of its lithium-ion battery but can be used with a cord in a no-power “passive” mode even when the battery is depleted. Denon AH-NCW500 Bluetooth Noise-Canceling Headset with case and audio cables. Denon’s noise-canceling technology works with the unit’s built-in amplifier to provide ample power with minimal interference from ambient noise. The 9.5-ounce headset has two 40mm drivers, dual microphones and supports the AAC and apt-X audio-compression standards. The headset is designed to fold flat into its carrying case and comes with an audio cord so it can be connected to mobile devices that don’t offer Bluetooth and an airline adapter to connect with airline seat audio jacks. The headset comes with black or brown leather and the pentagonal shape of the foam earpieces are unique to Denon. A common feature across Denon’s headset lines is the Denon Control Wheel, which lets you wirelessly control a Bluetooth-enabled mobile device like an Apple iPod or iPhone from the side of the headset. 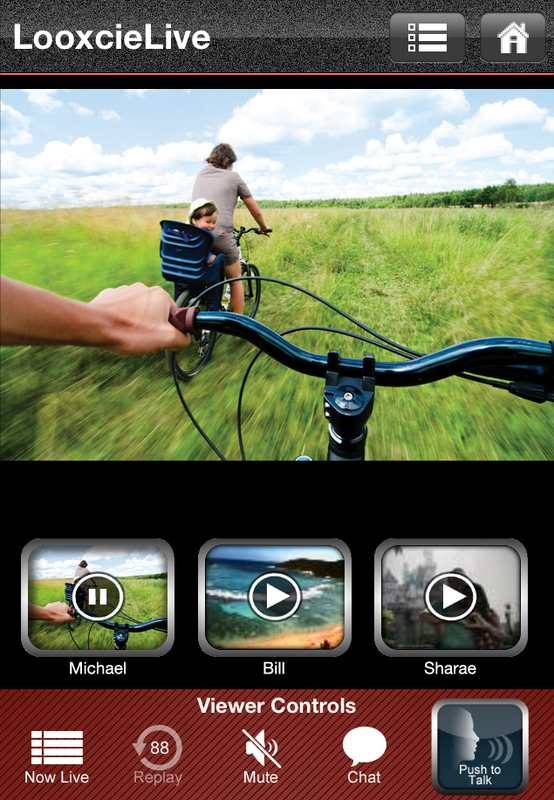 A twist of the wheel adjusts the volume while a tap of a button starts or stops music playback. Separate buttons on the headset connect and end phone calls button and enable or turn off the noise-canceling circuitry. Globe Cruiser AH-W200 In-Ear Bluetooth wireless headset. The much smaller Globe Cruiser AH-W200 In-Ear Bluetooth wireless headset ($180) has two earpieces linked by a short cord but still has room for a smaller version of Denon’s Control Wheel. The 0.8-ounce unit is packaged with four sets of ear gels in different sizes as well as a case, an audio cable with an airplane adapter and a USB cord for charging its battery, which lasts up to five hours. Like its larger sibling, the AH-W200 supports the Bluetooth 3.0, AAC and apt-X standards and can be used with a cord even when its battery is dead. The fit of the ear gels minimizes outside noises while integrated in-ear amplifiers provide more audio power than lower-cost headsets, according to Denon. Denon also offers Denon Travel, a free smartphone app which lets users access and fine-tune their music, listen to Internet radio stations and access their travel apps without leaving the Denon app. The app is available in Apple iOS and Android versions. gift for harried New York commuters: Free Wi-Fi. The Metropolitan Transit Authority has offered free Wi-Fi in the historic venue since 2008, but only in the small ticketed-passengers-only Station Master’s Office waiting area on the station’s west side. The vast Main Concourse, with its soaring, 125-foot-high ceiling, iconic four-faced clock and landmark circular information booth, is well beyond the reach of the MTA’s Wi-Fi access point. 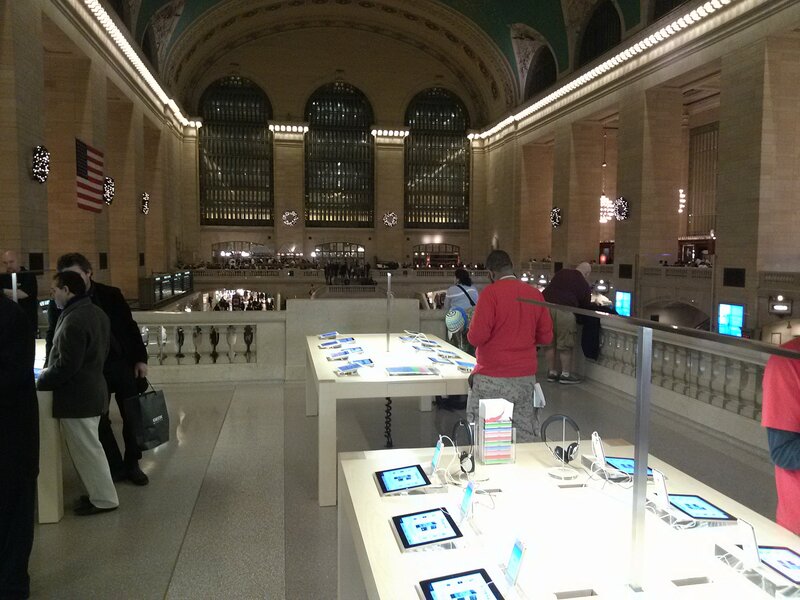 Fortunately the new Apple Store at Grand Central Terminal offers free Wi-Fi which freely spills out of the store’s base on the East Balcony, across the vast Main Concourse and into many of the other areas of the station’s main level. When tested with a new LG Nitro HD Android 2.3 smartphone for AT&T, the Apple Store’s Wi-Fi signal was strong throughout the Main Concourse and was even reachable under archways below the West Balcony. The signal didn’t disappear until just before the west side escalators to the lower level. The free Wi-Fi is good news for delayed commuters with iPods, Wi-Fi-only Kindles, iPads and other tablets and handheld devices and for those with limited data plans for their cell phones. It’s also good news for users of smartphone videoconferencing apps that run only over Wi-Fi, not over their carriers’ data networks. So how do you connect? Just turn on your device’s Wi-Fi adapter, search for the access point named “Apple Store,” and connect. The open network doesn’t even require a sign-in; just connect and go. But a word to the wise: Since this Wi-Fi connection offers no security, save your online banking for a more secure Internet link at home or work.